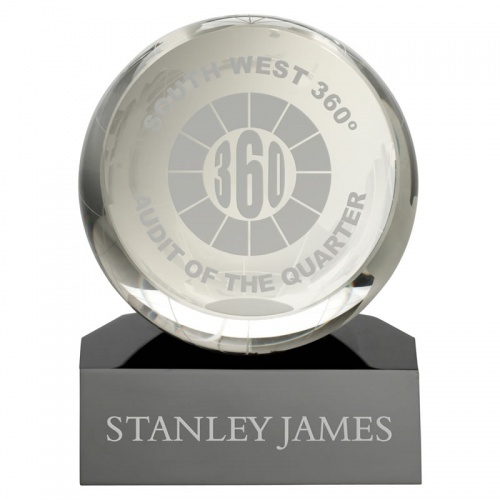 These premium quality glass globe awards featured a detailed clear glass globe set on a black glass base. 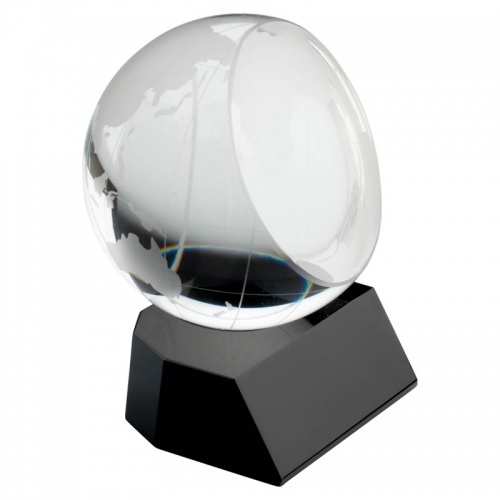 They can be engraved on both the globe and/or base and are offered here with low-cost text engraving. 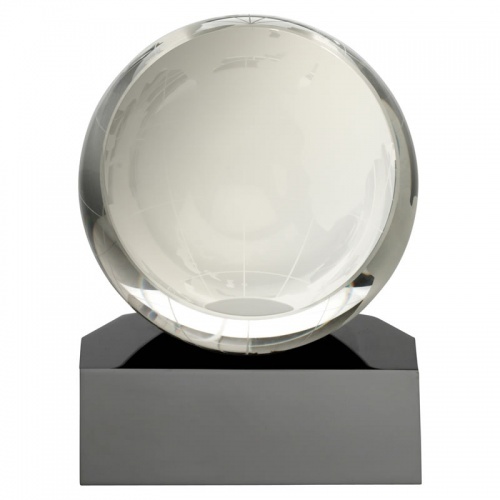 Standing 4.5in tall, each glass globe award comes presentation boxed.